Chief Griffith with his Son Gavin. 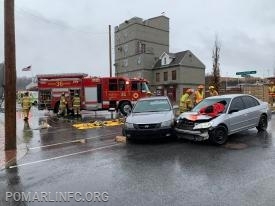 On Sunday, April 14, 2019, Po-Mar-Lin Fire Company hosted the third annual Go Bald with St. Baldricks, a community event organized to help raise money to support childhood cancer research. The event as a whole raised close to $30,000!! Team Po-Mar-Lin raised $2,683 - more than doubling their goal of $1,000! 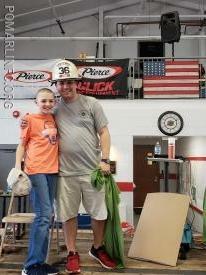 Fire Chief and celebrity barber, Jason Griffith shaved hair for 3.5 hours. Are you brave enough to go bald? According to statistics, a child is diagnosed with cancer every 2 minutes. But because of research over the last several decades, those diagnosed today have been given a chance to fight. 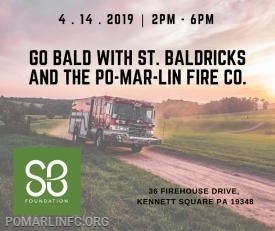 On Sunday, April 14, 2019, Po-Mar-Lin Fire Company will host the third annual Go Bald with St. Baldrick's, a community event dedicated to raising money for childhood cancer research. 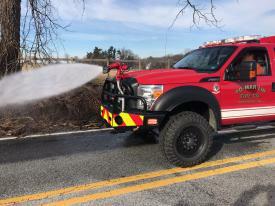 Building a rescue engine is more than putting a body on a chassis, adding battle paint, and equipping it with the “jaws of life.” It takes a collaborative force of engineering smarts, decades of experience, wisdom, and dedication.